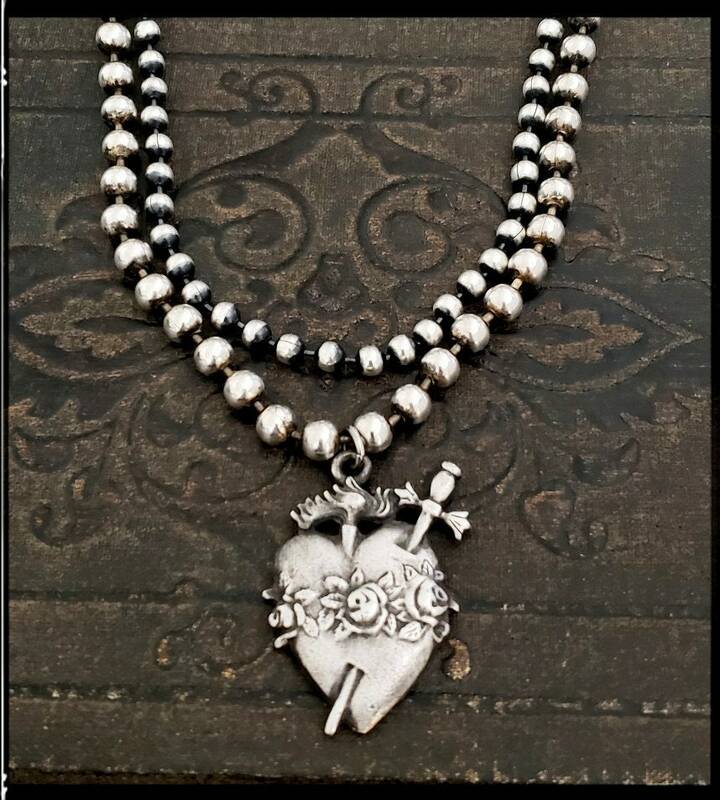 An antique silver carved sacred heart pendant replete with roses and sword makes a wonderful statement necklace when paired with our big silver ball chain necklace. 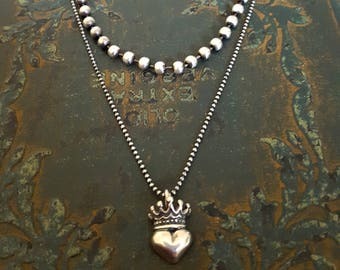 Silver beads are 8mm in size. 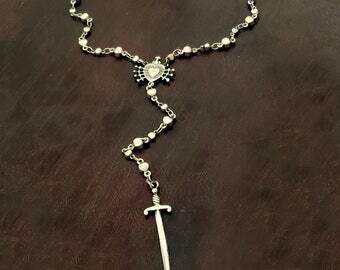 Necklace is finished with a large antique silver spring clasp. Very easy to put on and take off. This necklace makes the perfect statement piece. I love it worn both casual or dressed up. 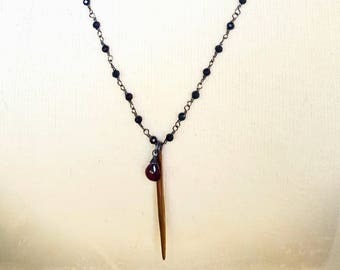 NECKLACE LENGTH: 16" with 1-1/4" adjustable extension chain. Pendant size: approximately 1-3/4". 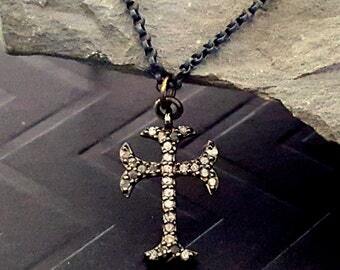 ViaLove is an eclectic jewelry line featuring a variety of uber chic and edgy designs. The materials I use to create my designs -- from the gemstones to the headpins, clasps, pendants, etc -- are sourced from vendors all over the world in order that I can create jewelry that is as unique as the individual who wears it. Each piece of jewelry is designed with great intention and thought so that you will treasure your jewelry for years to come. Thank you for visiting ViaLove.